The hijo, who has already announced his 2021 Mayoral candidacy, had not called his father that day. It was 2:17 PM on Saturday when junior made public the demand to his father to apologize. 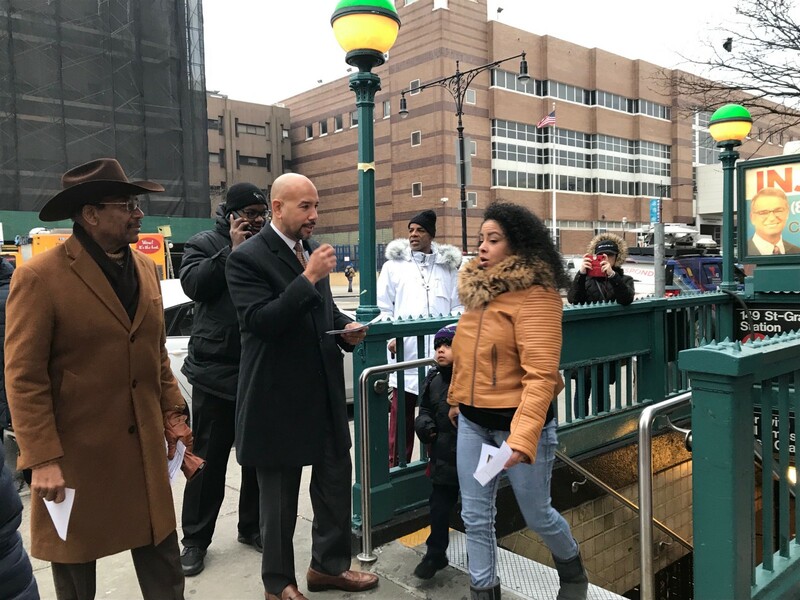 Díaz Sr., the polemic conservative Democrat member representing the 18th District of the New York City Council, was silent when the posting was read to him. “No. Marcos did not call me to tell me he was doing this,” was the honest response from Diaz, Sr. The 38-year-old Assemblyman is, in many ways, a political son to the Councilman. Again, the hurt was audible in the otherwise combative interlocutor as he confided in me. I expressed my dismay. Even though I have often been a critic of the anti-gay político, I admit that as a father, I felt bad for him. He asked that I not report this. I told him I would try to find a way. This is the way. Telling the truth of how his words have offended many in the LGBTQ community and unleashed calls for his resignation from the municipal government is the only way. The father and son will have to work this one out over many conversations. But clearly he has lost the support of his hijo in a very public way. However, even the Díaz, Sr. haters have to ask themselves how a son who in the past has been critical of me for labeling his father “Lucifer” for past homophobic comments and anti-LGBTQ votes finds it so easy to turn on his own blood. New York City Council Speaker Corey Johnson, who was front and center on the denouncing of Diaz, Sr.’s offensive pronouncements took the time to call the Councilman before pouncing on him, unlike his own son. Díaz Sr. tells me that Johnson gave him a heads up that there would be a statement regarding his homophobic statement. “Corey was so considerate. He told me that a statement would be issued by his office.” the reverend didn’t elaborate about the Friday afternoon call. But on Monday at noon, in a 25 minute interview I conducted in his Bronx district office for NY1 Noticias, Díaz, Sr. went on the record about the call. According to the Councilman he’s also called the Speaker a few times, but señor Johnson has not returned his calls. On camera I asked Díaz, Sr. in both Spanish and English what he wanted to discuss with the Speaker? “Are you going to apologize?,” I asked. The response the combative politico fired back was — there’s nothing to apologize for. “Then why should Corey return your calls?,” I asked. “I think that if we talk he’ll understand,” Díaz, Sr. responded, leaving the impression that he understood that Corey was in tough situation. There was a tone of regret that things had come to this. The vociferous offender seems to have genuine desire to speak with the colleague who treated him with more respeto than his hijo and his political son. I guess God does have a way of settling scores. And She does it in ways we least expect. Bochincheros are telling me that the buzz has begun around the next trip to Puerto Rico for New York Governor Andrew Cuomo. The commitment to the island/nation’s recovery from Hurricane María devastation has been admirable. “You know he’s a hands-on guy. He wants to see for himself if what was promised has gotten done,” one bochinchero tells me. Any new initiatives I ask? All I know is that puertorriqueños everywhere will always remember that Andrew Cuomo said “presente” in our time of need and hasn’t forgotten about long term recovery for Puerto Rico.